2014 November 18: A Must-Have this Holiday season! Gaslamp Popcorn Holiday Flavors! 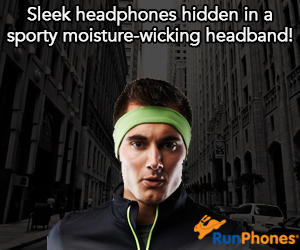 A Must-Have this Holiday season! I am already a big fan of San Diego born popcorn brand, Gaslamp Popcorn so I was quite excited to hear about their new Holiday Flavors! I received samples and tried them all! The Apple Crumble pie is just right and not too sweet! The Pumpkin Spice pie is a Must-Have for anyone who loves pumpkin spice! But, the verdict is in! My favorite is the Holiday Cookie flavor! It didn’t last long in my house and I wish they made it all year long! To find out more information and find where to buy Gaslamp Popcorn, check out the website! Self Disclosure: I received free samples to facilitate this holiday feature. Photo Credit: Gaslamp Popcorn. We received a copy of this book and it is simply delightful! I love the positive message and young children will love Princess Cupcake Jones! 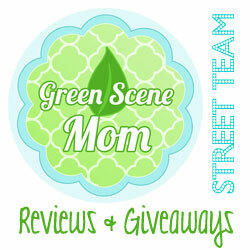 To find out more check out the website at www.princesscupcakejones.com . It can also be purchased on Amazon. and you can also find it or order it at your local bookstore! I admit it! I am a big Peanuts fan! I just love Snoopy! So, I am quite excited about the following three books! 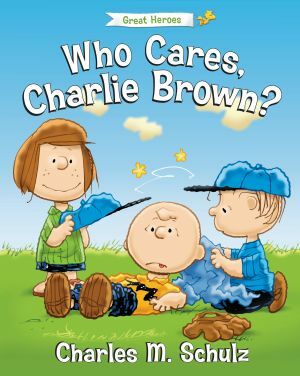 “Who Cares, Charlie Brown?” (ISBN: 978-1621572596) by Charles M. Schulz. This touching ode to some of the world’s great humanitarian heroes—including one forgotten hero who helped little kids!—will warm hearts and inspire. Book includes presentations on great humanitarian heroes and activity pages. 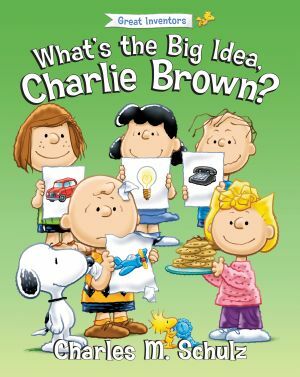 “What’s the Big Idea, Charlie Brown?” (ISBN: 978-1621572572) by Charles M. Schulz. Rediscover history’s great inventions—and learn about a very important inventor you’ve never even heard of before—in this fun and enlightening new Peanuts story. The book includes presentations on great inventors and activity pages. 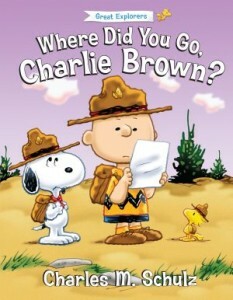 “Where Did You Go, Charlie Brown?” (ISBN: 978-162157-258-9) by Charles M. Schulz. Retrace the remarkable journeys of men and women who tread new ground—including one woman you’ve never heard of before—in this exciting new Peanuts adventure. Book includes presentations on great explorers and activity pages. I really like these books because they not only have some of my favorite characters but they also are educational and I love the activity pages! I mean…how cool is this?! The Peanuts gang embarks on brand-new adventures highlighting the exceptional people who make American great! People like Thomas Edison and Neil Armstrong! (Just to name a couple!) These are a Must-Have for children of all ages. Check out www.regnerykids.com, to get more information about and to purchase the books. Self Disclosure: I received free books to review and include in our holiday gift suggestions but all opinions expressed are my own. Tetley USA Black & Green Blend Tea for the Holidays! Do you love Tea? I do! My favorite is usually Black Tea but I recently tried Tetley USA Black & Green Blend and I really like it! It has the full flavor if black tea and all the health benefits of green tea! It does not have a bitter aftertaste that some green teas seem to have. That bitter aftertaste is one reason I don’t usually prefer green tea. I am so impressed that this has no bitter aftertaste at all! 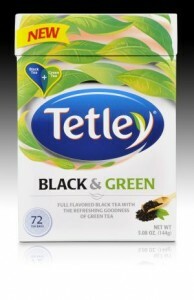 Tetley Black & Green is available in retailers nationwide as well as on TetleyUSA.com. Suggested retail price is $4.49 for a 72-count box. For more information on Tetley USA visit www.tetleyusa.com or Facebook.com/TetleyUSA. Self Disclosure: I received free samples to facilitate this feature but any opinions expressed are my own.